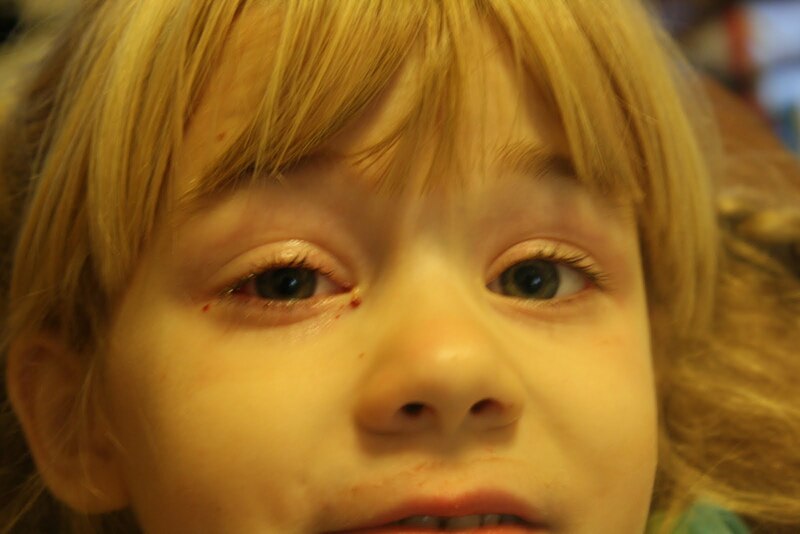 Many of you know that Elliana had eye surgery again this Monday. We were very worried about her before, during, and afterwards as she had such a difficult time adjusting to the first surgery.Although the surgery is routine for the opthamologists, she is our baby and we only want what is best for her. 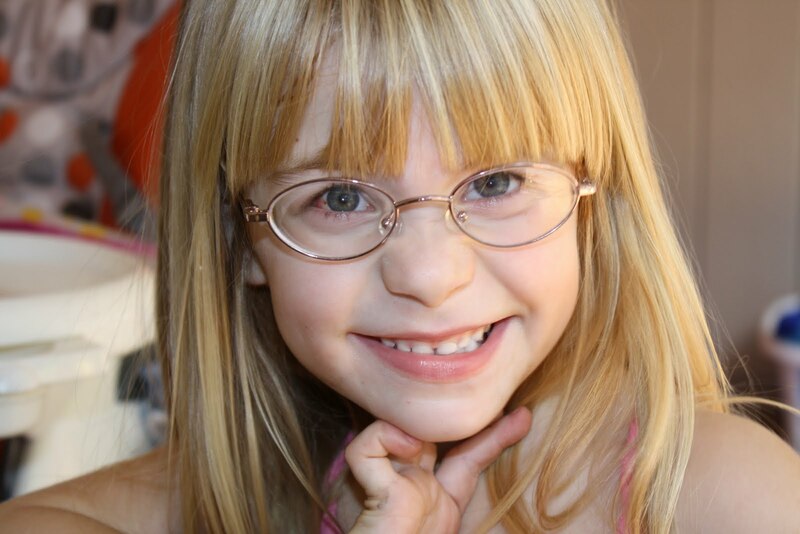 Due to her first reaction, they only operated on her right eye. In the best case scenario, her right eye will be straight after surgery and her left eye will stay straight – since it is her stronger eye. This is a picture just hours after surgery and her right eye is looking good. She seemed to emotionally handle the surgery better this time around and appears to be recovering quickly. We tried to take a picture of her eyes on the day of surgery and today to show how they have recovered. Since it is the 2nd surgery, her eye was a little more swollen. The dr looked at it last Friday and thought it looked pretty good. We go in again next Friday and will remain optimistic that this surgery will continue to be a success. Elliana is such a trooper. I am thankful every day to have her in my life! She looks great in those pictures. I so hope that this surgery is successful! How hard to see our kids getting through such fight, right? You know what you are lucky because you have a daughter that is a fighter… and with your support, her parents, she will make it. And her progress is admirable. It is very obvious on her smile and her eyes tell it so that she will be okay.